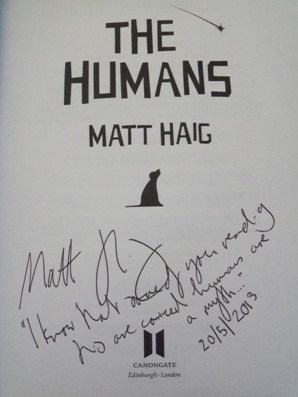 UK Hardback first edition - signed, lined and dated by the author. Synopsis : It's hardest to belong when you're closest to home...One wet Friday evening, Professor Andrew Martin of Cambridge University solves the world's greatest mathematical riddle. Then he disappears. When he is found walking naked along the motorway, Professor Martin seems different. Besides the lack of clothes, he now finds normal life pointless. His loving wife and teenage son seem repulsive to him. In fact, he hates everyone on the planet. Everyone, that is, except Newton. And he's a dog. Can a bit of Debussy and Emily Dickinson keep him from murder? Can the species which invented cheap white wine and peanut butter sandwiches be all that bad? And what is the warm feeling he gets when he looks into his wife's eyes?